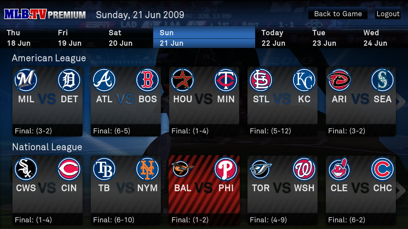 Forget the ongoing spat with Hulu, PC-to-TV media player Boxee has announced an official partnership with MLB.com. Subscribers to the MLB.TV Premium can now use Boxee to pipe content from the service, which includes “live and on-demand in HD (where available)”, to their TVs or simply enjoy Boxee’s ‘ten foot’ and remote control-friendly UI on their PC. On that note, MLB.TV Premium offers DVR functionality to pause and rewind a live game. Going forward, Boxee hopes this is the first of such partnerships, as live sport is bound to be seen as a major driver of uptake for Internet TV solutions such as Boxee. The company also announced that a version of Boxee, albeit in Alpha, is now available for Windows along with existing versions for Mac OSX and Linux.